Web Communities Help Patients With Rare Diseases Most Americans have looked for health information on the Web. But some "super-users" have used the Web to find others with rare diseases, connect with researchers — and even find new treatments. Finding health information can be hard if you have a rare disease. Those patients often have to become experts themselves. Social media like Facebook make it easier for people with rare disorders to find each other and share that expertise. That's helping patients and medical research. Carmen Iglesias was at home in St. Louis a week ago Friday when she got the word that a young woman in Paterson, N.J., was in trouble and needed Carmen's help. Karla Reategui, 30, and the mother of two children, had been hospitalized with a collapsed lung. Reategui and Iglesias have two things in common: They both speak Spanish and they're both patients who have been diagnosed with a disease called LAM, or lymphangioleiomyomatosis. It's rare, affecting just five in every million people. It's usually diagnosed in young women and can be nasty. The disease slowly replaces healthy lung tissue with smooth muscle cells that make it harder and harder to breathe. For some people, lung transplants are their only hope of staying alive. Reategui had just been diagnosed with LAM. "A lady in distress," Iglesias says. "She was very scared." Not only was Reategui struggling with the LAM diagnosis, but the doctors had made another disturbing discovery: a huge tumor on her left kidney. The doctors said they would operate to remove that kidney that Monday. Iglesias knew that kidney tumors are common in LAM patients, but they are almost always benign. She wasn't sure what to tell Reategui, so she did what she does whenever she has a question about LAM — she logs into Facebook. LAM patients have a very active private group there in which they share information about medications, surgery and lung transplants — even where to find bottled oxygen while on vacation. She asked the "Lammies" for help. "And in a couple of hours, I had this huge, generous response from everybody saying, 'Stop the procedure. Don't let anyone mess with the kidney,' " she says. The women in the Facebook group explained that other options included embolization, which would shrink the tumor and might make it possible to spare the kidney. Iglesias called Reategui and translated the information into Spanish. She helped Reategui's father, Marco Negrini, and helped him connect with a LAM specialist who could give the family a second opinion. In general the Internet age has enhanced physician-patient relationships. Armed with that information, the family canceled the surgery, just minutes before Reategui was to lose her kidney. "Half an hour before, we stop the surgery," says Negrini. "Wow, we feel good. It's a chance that we can save the kidney." But it's not just the medical advice that has Negrini feeling good. The women called his daughter, saying that they, too, had been diagnosed with LAM — and are surviving. "They're calling her, they comfort her," Negrini says. "They're giving information, sharing their experience. I'm really grateful to these ladies." Reategui's experience is not unusual for people with rare medical conditions. It can be hard to find expert medical advice, especially in the midst of a medical crisis. And even though rare diseases like LAM affect relatively few people, there are so many rare conditions that added up, they affect 25 million people. The Web has been a game-changer for those people, connecting them to others in the same boat. They share medical information and support each other on listservs, chat rooms, and now Facebook. "We say things to each other we can't say to others," said one woman who responded to a survey on rare diseases and the Web by the Pew Internet Project. Susie Picart, a LAM patient in Cary, N.C., who helped launch the Facebook group, agrees. "People get to ask questions they might not ask their family members," Picart says. The group also lets newly diagnosed patients lurk until they feel comfortable joining the conversation, and learn from patients whose disease is more advanced. "So it's not so scary. It's not such a big unknown." The LAM Facebook group is the outgrowth of 15 years of effort to connect LAM patients. It started when Sue Byrnes and her family were flying to Denver on a family vacation. Byrnes's 22-year-old daughter, Andrea, started having terrible chest pains while in flight. Her lung had collapsed and was pressing against her heart. It wasn't until they got back home to Cincinnati that Andrea was diagnosed with LAM. At the time, there was just one medical journal article with information about LAM. "The prognosis was 5 to 8 years to live," Sue Byrnes says. "It was very frightening." Sue Byrnes started trying to find other LAM patients; in a year she found 88, all by word of mouth. 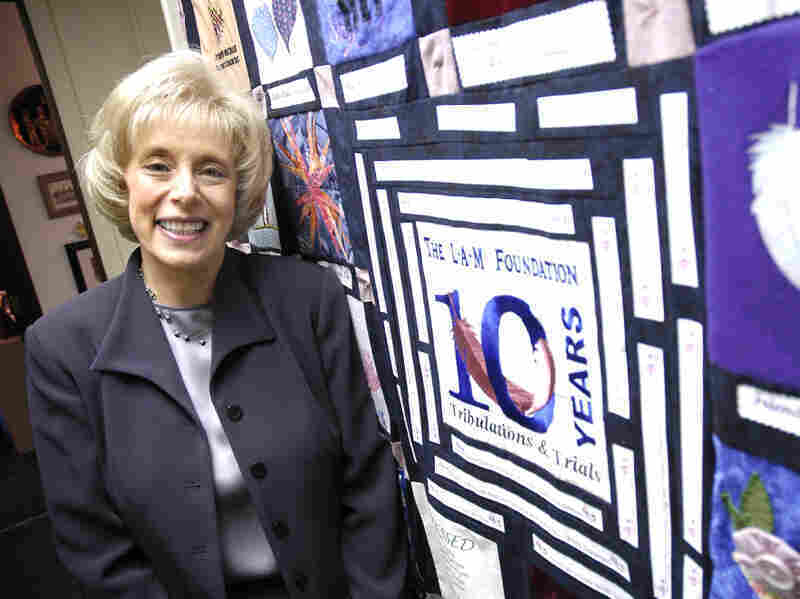 She and her husband, who were both schoolteachers, started the LAM Foundation in an effort to make it easier for patients to find each other. They connected first on a listserv and through email, and now have the Facebook group, which has attracted 200 patients in just six months. It can be very difficult for researchers to find enough people with a rare disease to study it. The Web is making that much easier. "The Internet actually facilitates research," Byrnes says. The foundation now has a registry with 1,200 patients. Researchers can search that database or ask the foundation to survey its members online for information about symptoms and treatment. "Scientists don't have the time to do these sorts of things, so we do it for them." The LAM patients have volunteered for clinical trials and helped fund the research. One of those studies was published last month in the New England Journal of Medicine. 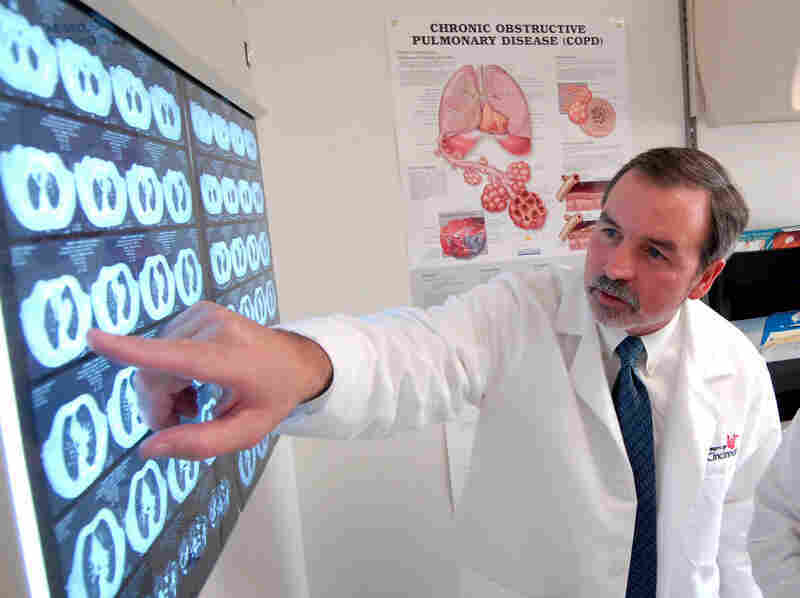 It found that the cancer drug Sirolimus helps protect lung function in LAM patients. Frank McCormack, a physician who studies LAM, says that expert patients like the members of the LAM Facebook group actually make a doctor's job easier. Frank McCormack, director of the pulmonary, critical care and sleep medicine division at the University of Cincinnati Academic Medical Center and lead author of the study, says the research would have been impossible without the patients' help. He also thinks that expert patients, like the members of the LAM Facebook group, actually make a doctor's job easier, despite lingering objections from some physicians. "I welcome it," he says. "In general the Internet age has enhanced physician-patient relationships." Fifteen years after Andrea was diagnosed, she's doing OK.
"She's starting to have some shortness of breath, and learning that she can't talk on the telephone and walk at the same time," her mother says. "That's sometimes the first sign." But Andrea is one of the lucky LAM patients — so far, her symptoms have been quite mild. "She really is pretty much able to do what she wants to in life." Which is all any of us could really hope for.